The SuperTuxKart team have been busy since releasing a beta back in January, with a release candidate now available. The biggest change for this release, as noted in this previous article, is support for playing against others online or across a LAN. 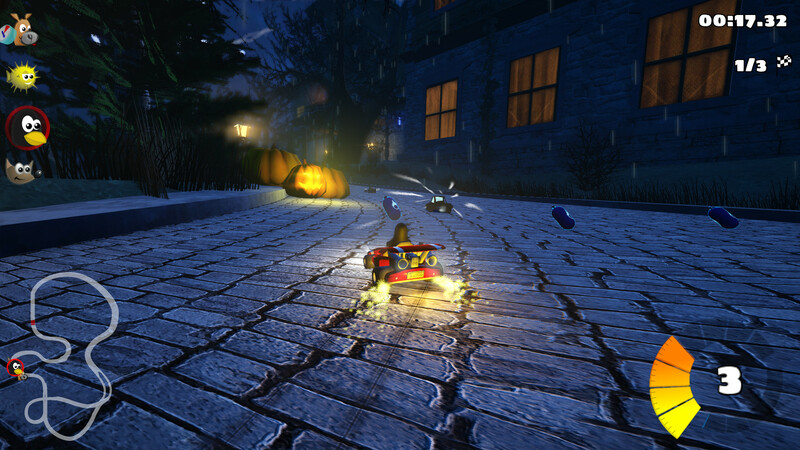 It's been a long time coming and certainly makes SuperTuxKart a lot more modern! Since the beta release, they've worked to solve numerous bugs and they now consider the online features "ready for general use". That's not all though, they've replaced the old mansion track with an upgraded Ravenbridge Mansion and the Black forest add-on is now part of the official track-set to race on. A shot of Ravenbridge Mansion on SuperTuxKart 0.10. Additionally, they also put up another blog post last month going over numerous gameplay changes to the game. One major change is that all kart classes have been rebalanced, so classes have different acceleration, top speed, nitro consumption and manoeuvrability. They also went over the race courses, to fix some unintended shortcuts and so races should be a lot fairer. Those interested can find downloads here. Their short announcement post for the RC is here. Really great to see this free and open source racer continue to get better. I see quite a few new mascots I don't recognize. Is there a cheat sheet for them? Guest I'm really fan of this game. Hoping it will makes it's way to the APT repo's on Ubuntu 18.04/Pop!_OS 18.04, otherwiser I'll need to install Flatpak or something on this machine. melkemind I see quite a few new mascots I don't recognize. Is there a cheat sheet for them? This page lists most, if not all, of them.